Spend some quality “together time” with your little one. Parents and children will explore the apparatus under the guidance of our coaches and will progress at a pace that is as individual as your child! This class is for the child who’s ready to participate on their own. 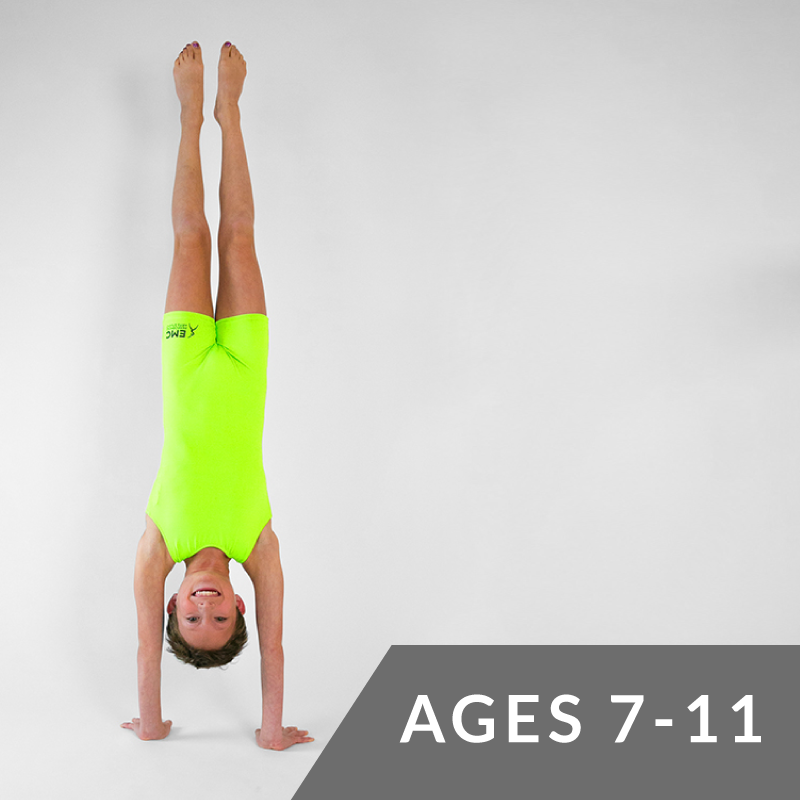 During this class, your child will learn cartwheels, rolls, simple vaults, hopping, jumping, landing, leaping, balancing and more! In this class, children work on spatial awareness, listening skills, and the form and technique needed to conquer more difficult movement. Cartwheels, round-offs, front head rolls, handstands, vault, bars and beam are explored. This is a fun and frolicking class for our youngest darlings. Children will participate in dance and creative exploration in an inspiring and safe environment. Through games, instruments, props, movement and music, children will expand their creativity and release their energy with positive stimulation. 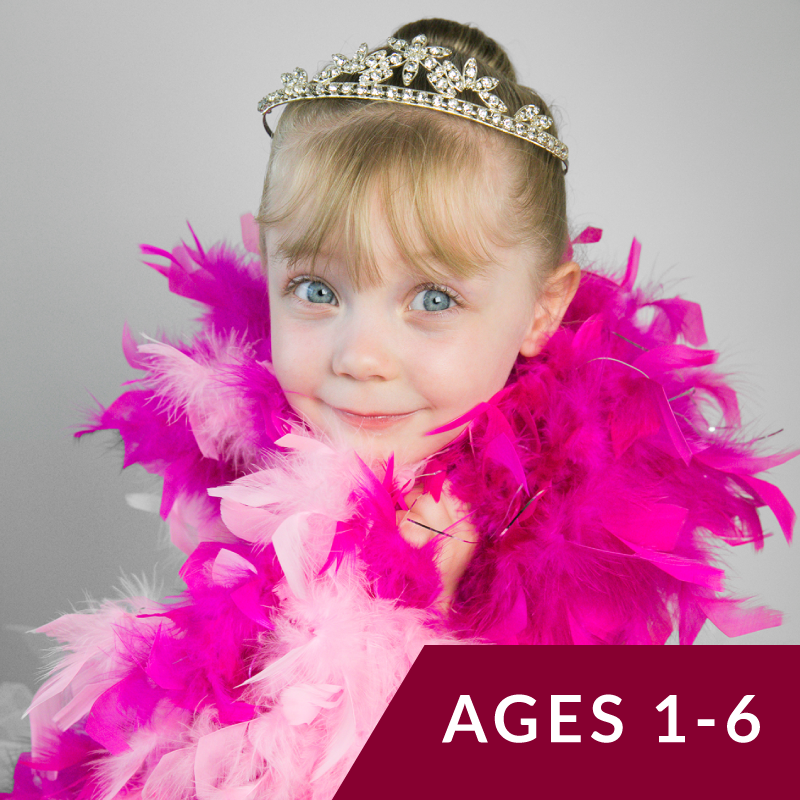 In this class, our little dancers’ dreams of becoming a beautiful ballerina or a handsome prince will come to life. From the first plié, to the final curtain call, our dancers will not only learn the basics of ballet and tap, they will also come to appreciate the joy that comes from dancing! As our young dancers grow more confident, they are taught more structured movements, including proper stretching techniques, positions of the feet and arms, locomotor skills, and simple jumps. Our students are encouraged to respect the classroom, their fellow dancers, and the art of dance! Dancers will adapt to more hours at the studio with discipline and focus. 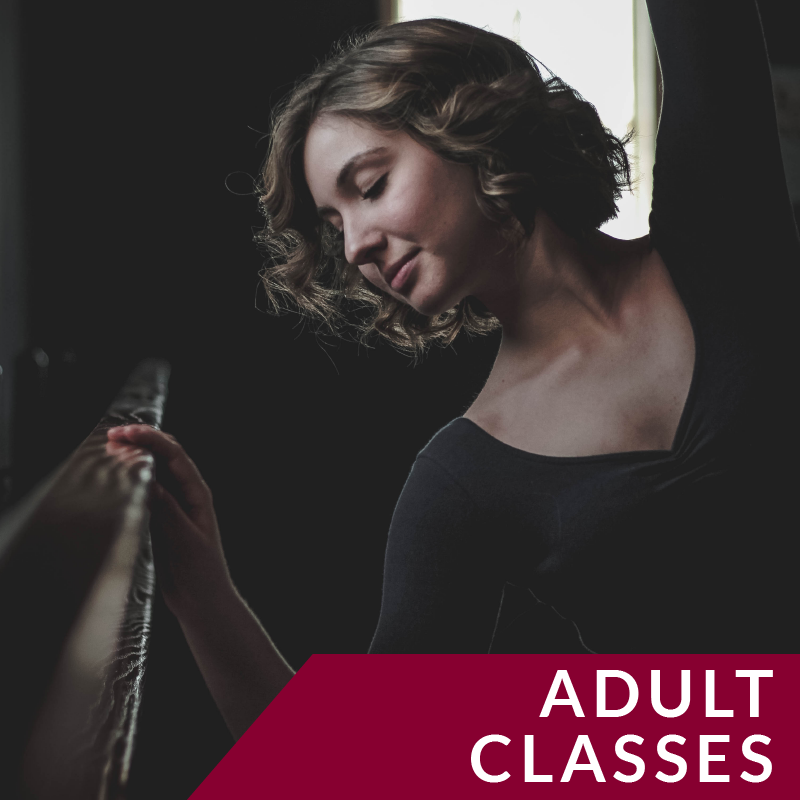 Mature dance concepts are developed, such as arm movements, proper posture, articulation of the feet as well as more complex patterns of movement. This high-energy class will be the highlight of your child’s week. Showing off to popular, yet age appropriate tunes and expressing themselves in a fun-filled and encouraging environment will make dancers forget that they are learning! The girl who can flip gets the part! Perfect for dancers and cheerleaders, this class is designed to teach tumbling skills that may be used in choreography. This is a non-performing class, but mastered skills may be highlighted. This in an introductory program of gymnastics and tumbling. Flexibility, strength and technique are emphasized. Skills include handstands, cartwheels, round-offs, walk-overs and other basic moves on the floor, beam, bars and vault. In this class, gymnasts will incorporate power into their movements to further perfect their technique. Front and back handsprings, cartwheels and handstands on the beam, and higher level vault and bar skills will be developed. In this intermediate level class, our most skilled gymnasts will incorporate power into their movements to further perfect their technique. Front and back handsprings on the floor, cartwheels and handstands on the beam, and higher level vault and bar skills will be developed. Our acrobatic performance group, the Hot Shots, consists of our top gymnasts. These students are featured in performances in the community as well as in professional venues with EMC dancers. Participants are hand selected by the Discovery Gym Director. The girl who can flip gets the part! Perfect for dancers and cheerleaders, this class is designed to teach tumbling skills that may be used to make choreography more exciting. This is a non-performing class, however mastered skills will likely be featured in upcoming performances. Black Box classes help your child gain acting and performing skills in a fun, positive,and quick paced environment. The program teaches the skills necessary for students to audition successfully, master any role, and perform with proficiency. Contemporary dance combines elements of modern, jazz, lyrical and classical ballet. Contemporary dance stresses versatility and improvisation. A most memorable experience for dads whose daughters love to dance, this class culminates in an unforgettable performance on a professional stage. In this class, shy children will be encouraged to come out of their shell in a supportive setting and outgoing dancers will be given the structure in which they can express themselves while developing stage presence. At this level, dancers will adapt to the increased hours spent in the studio with discipline and focus. More mature dance concepts are developed, such as port de bras (arm movements), proper posture, articulation of the feet as well as more complex patterns of movement. Are you a Triple Threat? Do you sing show tunes in the car? Hoping to get a better role in the school musical? Well then this class is for you! Participants must be willing to dance and act. Singing is a plus but not required. 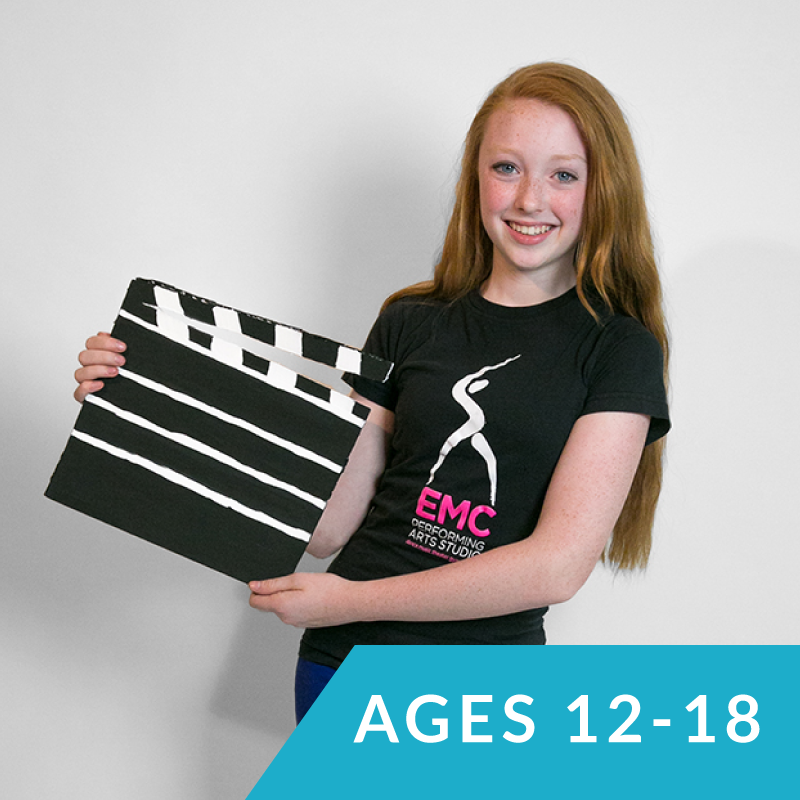 At EMC, we deliver a complete dance education to students who desire a comprehensive and well-rounded training. Ours is the premier dance program in the area and we present twice annual concerts at a professional venue. Your child’s musical journey starts with a 30 minute weekly private lesson with a professional music instructor or a student teacher. Add to that Music Master Classes in a variety of styles, a semi-formal recital in March, an informal recital in the summer, opportunities to perform in the community and you will be amazed at how your child develops into a fine young musician. The Hot Shots acrobatic performance group consists of our top gymnasts. These students will be featured in public performances in the community as well as in professional venues with EMC dancers. Participants are hand selected by the Discovery Gym Director. Black Box classes help your child gain acting and performing skills in a fun, positive, and quick paced environment. The program teaches the skills necessary for students to audition successfully, master any role, and perform with proficiency. The girl who can flip gets the part! Perfect for dancers and cheerleaders, thisclass is designed to teach tumbling skills that may be used to make choreography more exciting. This is a non-performing class, however mastered skills will likely be featured in upcoming performances. A most memorable experience for dads whose daughters love to dance, this class brings the two together in bi-weekly rehearsals and culminates in an unforgettable performance on a professional stage. Dads should be able to lift their daughters above their heads. Contemporary dance is a style of expressive dance that combines elements of several dance genres including modern, jazz, lyrical and classical ballet. Contemporary dance stresses versatility and improvisation, unlike the strict, structured nature of ballet. Dancers must have undergone testing from the Ballet Director in order to receive permission and placement recommendations for any and all pointe classes. We take your child’s physical well-being very seriously and we will never put a dancer en pointe prematurely without the proper screening. Are you a Triple Threat? Hoping to get a better role in the school musical? Well then this class is for you! Participants must be willing to dance and act. Singing is a plus but not required. Nothing will make a young or aspiring music lover grow faster than playing in a band setting. Band members learn important life lessons like team building, goal setting and problem-solving. There is no better confidence builder than playing live in front of a crowd. When ready, we will coordinate an ensemble to take your child to the next level! Put those tap shoes to good use while getting a little exercise and a having a lot of fun. Adult tappers will have the option to perform with their daughter in the Spring Concert at the Pullo Center. Rehearsals for the Mother/Daughter Tap will be held on Free Form Fridays in the spring and will be offered at no charge to those enrolled in Adult Tap. There’s no Performance Fee if your daughter is in a package, and no official costume to buy. New students welcome. Having a daughter in our program is not required. Looking for a creative outlet to express yourself through dance? This class will focus on basic modern and jazz concepts that will help improve your strength, flexibility, coordination and alignment. This is a non-performing class. Spend some time on YOU this year, moms. This is a non-performing class that’s all about getting your body flexible and strong, while enjoying beautiful music and the company of other EMC moms. Start the week off right in this low-pressure yet rigorous class. No, you don’t have to wear a leotard and tights. Yoga pants, a snug top, ballet slippers and hair pulled out of your face will do. 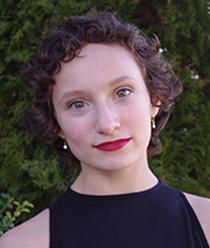 Brooke Manker is a current student at Towson University where she will receive her Bachelors of Fine Arts in Dance Performance and Choreography in Spring of 2019. Throughout her training, she has been able to study modern under Linda-Denise Fisher-Harrell, and ballet/pointe under Runqiao Du as well as contemporary, jazz, tap and hip hop from various instructors and intensives including Rockette Summer Intensive 2011, Point Park International Summer Intensive 2014 and Company E’s Summer Intensive 2018. During her time at Towson University, she has performed with Towson’s Dance Company for 5 seasons and was rehearsal assistants in fall of 2018. She has also performed at Baltimore Theatre Project with VT Dance under the direction of Vincent Thomas, and will be performing there with ASEID Dance under Alison Seidenstricker this spring. Other showcases include, Koresh’s “Come Together Dance Festival 2017” in “Subsequent” choreographed by Marissa Kauffman and American College Dance Festival 2017 in the selected Gala performance “Threshold” choreographed by Susan Mann. Brooke began teaching with EMC in 2015, and thoroughly enjoys her time spent with her students and helping them to explore their creativity. Robin began her dance training at a “hot mess” local studio in Baltimore at the age of three, where she couldn’t get enough of “dance studio life”. Later, she was fortunate enough to attend the prestigious Baltimore School for the Arts, where she received a proper dance education and a love for teaching. Upon graduation from high school, Robin attended college briefly, but the entrepreneurial bug bit hard and she jumped at the chance to open her studio when the opportunity presented itself. In 1992, at the age of 22, Robin started her studio in a single room studio in Baltimore City. She made many, many mistakes along the way but with the support of her husband who joined in and made the dance studio dream his own, the studio eventually took hold and gained traction. Today, EMC Performing Arts Studio provides dance, music, theater and gymnastics classes to more than 500 students in New Freedom, PA each week. The dance program is the crown jewel of EMC, and is focused on teaching proper technique and preparing dancers to perform concert-style in a variety of genres in professional venues. While EMC dancers don’t do “the competition thing”, they do perform frequently and are given numerous opportunities to develop their artistry. Robin resides on 8 acres of country land with her husband, young adult sons, elderly parents and too many cats and dogs. Her happy place is floating in her pool in the summer months, listening to Frank Sinatra and running her business from her deck. Robin has finally figured out how to work ON her business, not IN it and is still passionate about her business’ growth, even after 27 years! 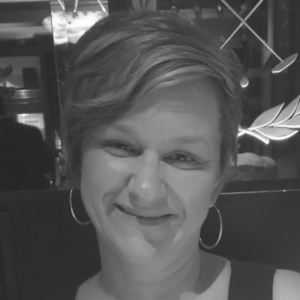 In the next chapter, Robin hopes to share her knowledge and experience with studio owners around the country through DSO Connect. Morgan Anderson is a dancer, teacher, and choreographer who has trained for 18 years in the areas of classical ballet and pointe, modern, jazz, improvisation and musical theater. She spent three years training at Howard Community College where she earned her A.A. in Dance Performance. She has performed with the HCC dance company for the 2013 to 2017 dance seasons being featured in pieces by choreographers such as Elizabeth Higgins, Trent Williams Jr., Adrienne Clancy, and Mat Elder. Morgan has also trained in modern and contemporary dance with Baltimore/DC area artists such as Adrienne Clancy, Christopher K Morgan and Latefia Bradley. 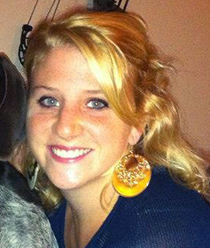 As a teacher, Morgan has taught for several studios in Maryland and Southern Pennsylvania training students of all ages. 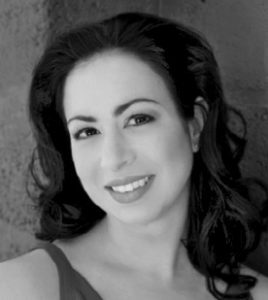 She has choreographed concert and musical theater work for Catalyst Dance Theater, Equinox Dance Company, Liberty High School and Gettysburg Area High School. Jaime has been part of the EMC Team since 2010 and her role has grown into many different branches of EMC. She enjoys working with EMC’s Administration as well as teaching the young musicians of EMC. Jaime has her Bachelor’s degree from IUP (Indiana University of PA) in Business Marketing and before joining EMC, she had been working in Human Resources for 10 years. She lives at home with her husband, Kerry and two beautiful children, Van & Wyn. Jaime loves being outdoors, watching and playing sports and being active. Running, swimming, skiing, playing volleyball and playing with her kids is something she always enjoys. Jaime truly enjoys working at EMC and watching the students grow into wonderful young adults and finding their way in the world. She believes that with hard work, dedication and patience anything is possible. Kathy has been part of the EMC Team since 2006 and she is the “friendly face” of EMC that our families have grown to know and love. She enjoys interacting with our students in her role as Office Manager and she loves her job! Fun facts: Miss Kathy has a cosmetology teaching license and worked as a barber for many years. She also has a CDL and has worked as a school bus driver. Currently, she shares a home with her husband, Monte and spends her free time riding on the back of a Harley Davidson, kayaking and enjoying sightseeing adventures most weekends. Kathy has three grown children and two grandchildren that she spends time with as much as possible. Her oldest daughter Ashley was one of EMC’s first dancers in PA and is now running the EMC Spirit Shop on Facebook. Kathy makes it a point to always attend our Holiday Celebration and Spring Concert at the Pullo Center and loves seeing the students grow from year to year. .
Music DirectorA York County native, Jaime has been playing piano for over 20 years and enjoys many styles of music. Classically trained, Jaime took many music classes while obtaining her B.A. in Marketing from Indiana University of Pennsylvania. She enjoys teaching at all levels and ages. She builds a solid foundation for her piano students by emphasizing on theory, note recognition and rhythm. 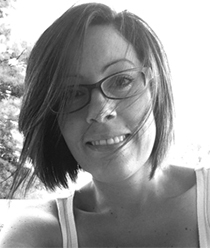 Jaime is a patient and creative teacher that would like to make music fun for her students. Her goal as a teacher is to help and train each of her students to reach a level of note reading and musicianship to become independent musicians! Katie’s highly successful gymnastics program at EMC Performing Arts Studio was established in 2008. Katie has used her background as a national champion gymnast and child development educator to craft a unique program that cultivates your child’s potential. Katie was a gymnastics participant for 13 years including several national championships, training at the Olympic Training Center in Colorado Springs, Colorado, and a Member of the NCAA Division I Women’s Gymnastics Team. 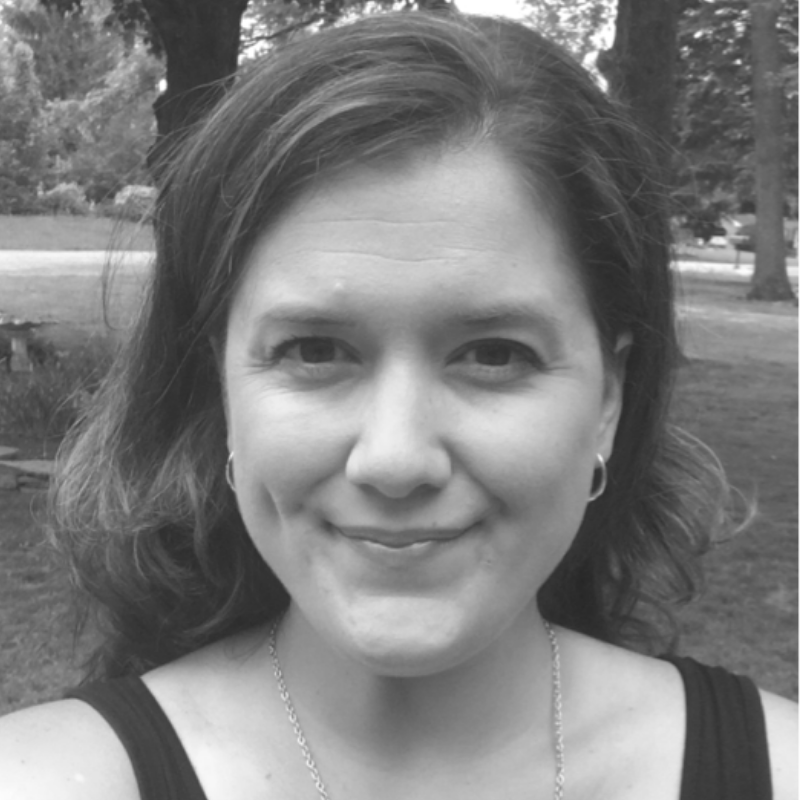 Following her gymnastics career, Katie obtained a degree in Child Development, Safety Certification, and has worked continuously in the field of Child Development since 2000. Some highlights of Katie’s career are coaching many state champions, starting a preschool program, and developing cutting edge cognitive and physical therapy programs for special needs children. Katie credits gymnastics as offering a great source of fun, self-esteem, and team work in all children. She is looking forward to emphasizing those ideals while working with you and your child to reach your goals. Sydney is an honor roll student that currently attends Hereford High School. She studied dance at EMC for several years before persuing an interest in gymnastics. She has been a gymnast since 2012 and has competed at different gyms in neighboring states. 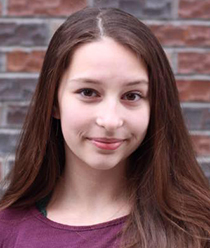 Sydney is currently coaching in the Discovery Gym at EMC where she enjoys working with children. Rachel has studied classical ballet for 15 years. She received most of her pre-collegiate training at Dance Conservatory of Maryland under the instruction of Pamela Villeneuve, Linda O’Brien, Shana O’Brien, Barclay Gibbs, Paul Wegner, and Caryl Maxwell. In 2011, she was recognized as a Maryland Distinguished Scholar in the Arts and went on to study Ballet at Mercyhurst University under the instruction of Tauna Hunter, Michael Gleason, Lesley Bories-Scalise, Melissa Bobick, Noelle Partusch, and Christina Maria Adelhardt. While at the University, Mrs. Thompson served as chapter president of National Honors Society for Dance Arts, part of the National Dance Education Organization. She also had the honor of being hired by the D’Angelo Opera Theatre as Stage Manager for their production of Madama Butterfly. She graduated from Mercyhurst University with a B.A. in Dance (and a B.A. in English). Over the course of her training, she has performed in numerous classical, contemporary, and liturgical roles. 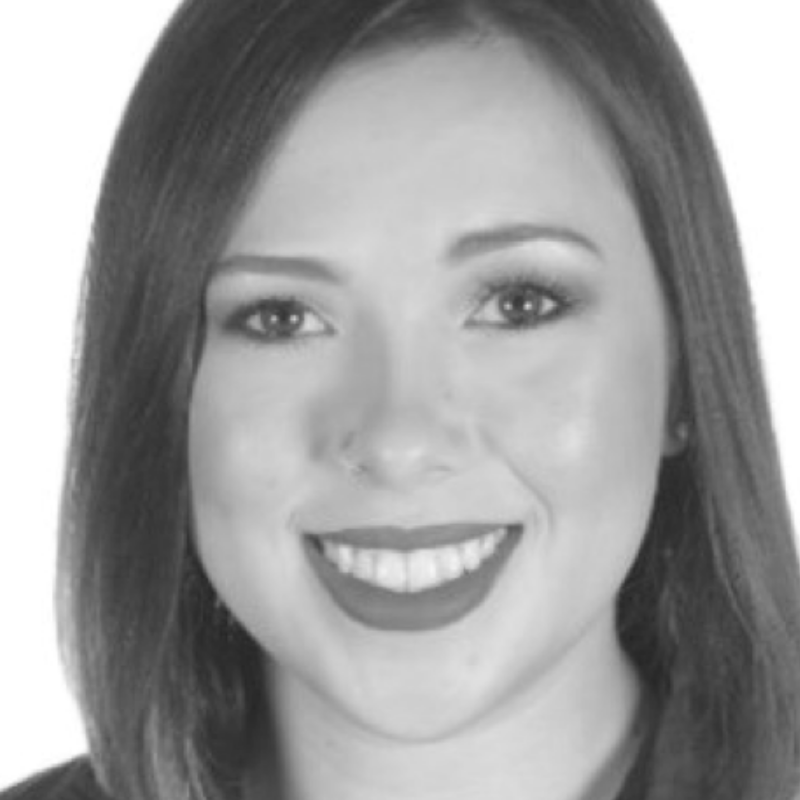 For the past three years she has taught and choreographed for local studios and fitness centers including Dance Conservatory of Maryland, Sudbrook Arts Centre/Mission DanceWorks, and YMCA. She has also been invited to adjudicate auditions for Susquehanna Youth Ballet. Jake Rivers grew up a product of exposure to diverse musical influences. A cellist and guitarist, Jake is able to perform and teach in many different musical styles, ranging from classical to jazz, to rock on both instruments. A recent graduate from York College, Jake studies music performance and is actively performing in the area as a classical cellist, and as a singer-songwriter under the name Jake Matthew Rivers. The lessons we teach in our dance program create well-prepared young adults, poised and ready to succeed! Each year we send dancers to prestigious dance intensives, college programs, performing arts high schools and professional dance companies. We must be doing something right! Even if you don’t have these aspirations for your child, the lessons we teach will result in a disciplined, poised young person who is bound to succeed regardless of the path that is chosen. Private music instruction in voice, piano, guitar, bass, drums, strings and more are offered in our studio. Professional musicians and educators will help your child learn the basics that can develop for years to come. Formal and informal community performance opportunities are offered throughout the year, encouraging your child to share his/her love of music with others! Bailey has been a part of EMC since the inception of the New Freedom studio, officially beginning classes in 2005. Her training includes Ballet, Modern, Jazz, Tap, Theater Dance, Hip Hop, Improvisation and composition, as well as Music lessons and Acting. 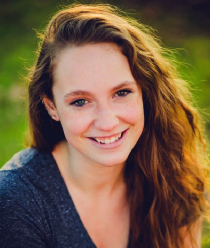 Bailey is a Company Member of both The Repertory Ensemble and The Susquehanna Youth Ballet. She has attended Summer Intensive Programs at The Joffrey Ballet School and The Broadway Collective in NYC, as well as regularly attending classes at Broadway Dance Center. Bailey joined the EMC Teacher Training Program in 2015, she has taught several Theater Master Classes, in NYC, NJ, and Florida. Bailey received a Tony Honors and Grammy nominee for her role as “Matilda” in Matilda the Musical on Broadway. Other credits include “Cindy Lou Who” in How the Grinch Stole Christmas National Tour, “Mary Lennox” in The Secret Garden at The Arden Theatre, and “Clara” in Sandman for the 2013 NAMT Festival in NYC. Bailey has discovered her love of teaching while working with our Kreative Kidz students and plans to pursue teaching the Arts while performing professionally. Allison was born and raised in western Pennsylvania by a family of music makers. Music has always been her passion, and now she is lucky enough to make music her career. She is a graduate of York College of Pennsylvania with a degree in music industry and recording technology and minors in musical theatre and legal studies. She has been singing since she could talk and has had formal and informal training in both voice and piano as well as informal training on guitar. 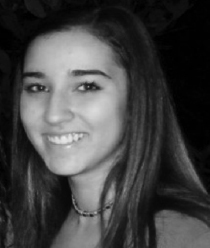 Allison has enjoyed participating in musical theatre in high school and college and studying the techniques in vocal belting. She was the music director of ICCA finalist a cappella group YCP Rhapsody in college where she arranged music and taught a group of around 20 acappella singers. She currently works at Dutch Apple Dinner Theatre in Lancaster, PA as the Assistant Box Office Manager and in the marketing department. Her goal for each student is to develop a love for music with proper technical training and a whole lot of fun! 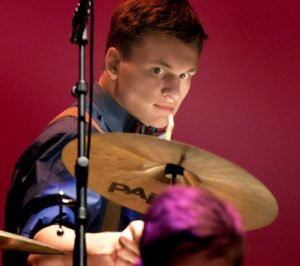 Alex began studying drums at the age of 8 under James Gummer, here at EMC. He is a founding member of The Blacks Jacks, and has performed at The Strand, The Pullo Center, Baltimore Sound Stage, the Ottobar, the Recher, Glen Rock Arts and Brew Fest and numerous local events. Playing music with his brothers is an important part of Alex’s daily life and he has grown to appreciate the bond that music can create between people. Alex looks forward to sharing his love of percussion with his new students. James Gummer began playing drums in 1987 and is proud to be part of the original MTV generation. He’s played everything from heavy metal to the music of our ancestors. He’s been fortunate to study with Dr. Bill Watson, Wes Crawford, and Dr. N. Scott Robinson. 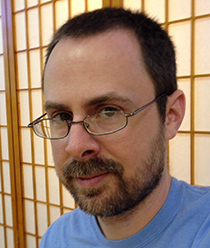 James teaches privately and is the drum and percussion instructor at The Saint James Academy in Monkton, Maryland and EMC in New Freedom, Pennsylvania. Among his many musical adventures, James has been the resident drummer at the Maryland Renaissance Festival since 1997 and is currently an accompanist for CCBC’s dance department. He is also a Remo Health Rhythms Drum Circle Facilitator and trained directly with The Remo Drum Company. Find him online at jamesgummer.com. Rita can’t remember a time when she didn’t sing. She began taking music lessons in high school. She won a scholarship for lessons taught by pedagogy students when she was a junior. She has an AA degree in music from CCBC where she also studied theatre. She’s been leading music on stage, in churches and at Girl Scout events ever since. She is currently a cantor at Our Lady of Grace in Parkton. She also plays bass and guitar with Contemporary Band and AMEN Corner (the youth music group – for which she is one of the adult leaders.) Strengths include contemporary Christian songs, Broadway, and pop. Her goal is to bring the best out of every student as they learn technique. She helps them find the story in every song and to have a little fun along the way. Catie cannot remember a time she was without music. She began formal piano lessons with Ms. Jaime over three years ago, but she has taught herself by ear for as long as she can remember. 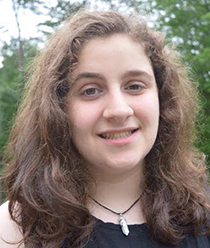 Catie began trumpet lessons at the age of 9, where she learned music theory, allowing her excel in piano very quickly. Emphasizing on basic theory, Catie plans on building a foundation for young students in hopes that they enjoy the piano as much as she does. Brendan began studying guitar at the age of 5, here at EMC under Allison Hutchison, Seth Kibel, Mark Kraus Matt Shriver and Ethan Walker. Outside of the studio, he currently studies with Max Kuzmyak, Carl Bahner and Curt Sipe. Brendan is a member of Inspire’s advanced jazz band, Runferyerlife and is a founding member of The Black Jacks, the EMC house band. 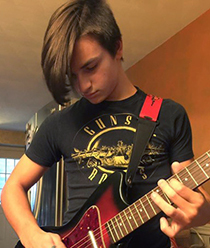 Brendan studies classical, jazz, rock, blues and metal in his multiple guitar lessons each week. He also is learning how to record, write, read and arrange. Last year, Brendan began cyber schooling so he would have more time in the day to devote to his guitar studies. As a sophomore at Susquehannock High School’s Digital Academy, Brendan hopes to join their jazz band this upcoming year, and aspires to ultimately attend a prestigious music conservatory after high school. Brendan began teaching at EMC in the winter of 2017 and currently has a nice following of beginner level students who love the guitar. The Black Box Theater Program will nurture your child’s ability and desire to think creatively and critically, work as a team and build self-confidence. Black Box classes help your child gain acting and performing skills in a fun, positive, and quick paced environment. EMC’s Black Box Theater Program teaches the skills necessary for students to audition successfully, master any role, and perform with proficiency. At EMC we believe in providing access to classes that enrich the mind and body. Our dance professionals have carefully selected classes designed to help your dancer stand out from the crowd, delivered in a professional yet fun learning environment. Specialty Classes also serve as an enrichment to the Technique Program Package. Our most serious dancers add Specialty Classes to their package in order to create a program that suits their goals and needs. Our gym specializes in teaching children under 13 years old fundamental gymnastics and tumbling skills in a non-competitive environment. Our fully trained gymnastics coaches are caring and attentive to every child while adhering to strict teacher-student ratios. Your child is special and will not be lost in the crowd. A year-end show and award ceremony will make every child feel like a winner! Our Kreative Kidz dancers are our youngest dancers and are treated to the full dance education experience! Aspiring dancers from 2-8 years old are part of the unique classes that take them from the first plié to the final curtain call on stage. Our dancers will not only learn the foundational skills of ballet, tap, and jazz but will come to appreciate the joy of dance! Rachel Cyr graduated from the University of Connecticut in 2006 with a Bachelor’s Degree in Acting. She has studied many acting methods including Stanislavsky, Michael Chekhov, and Suzuki under Eric Hill. Rachel performed in such plays as Crimes of the Heart, The Gut Girls, Marcus is Walking, and Marat/Sade with the Connecticut Repertory Theatre. She lived and auditioned in New York City before coming to EMC in 2009 as an Acting and Dance Instructor. She also has a second degree in Secondary Education. Rachel prides herself in instilling confidence and creativity in her students through fun and dedication. 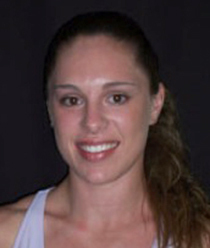 Randi Poff has been a gymnast since 1995. Even though she was 3 years old, she instantly fell in love with the sport. She participated in competitive gymnastics for many years and was blessed to have traveled around the United States and even outside the country to London, England. She loves everything about gymnastics and all that the sport can offer. Her passion for gymnastics is evident when working with children. One of Randi’s favorite things about teaching gymnastics is seeing the smile on a child’s face after mastering a skill. She is proud to be a part of the EMC team. Milana has been performing and dancing since the age of five. Her dance training consists of jazz, tap, ballet, modern/contemporary, hip hop, pointe, tumbling and acro. She has been a member of the Susquehanna Youth Ballet and is a member of the Repertory Ensemble. Milana attended the Joffrey Ballet Musical Theatre Intensive in New York through scholarship, and several Peabody Preparatory ballet master classes and intensives in Baltimore. Besides her love of dance, Milana also studies voice, theater and piano and has been cast in musicals such as High School Musical as Sharpay Evans, Peter Pan as Tinker Bell, Cinderella as the Evil Stepmother and The Diary of Anne Frank as Anne Frank. Milana is a member of the Gifted and Talented Program, the National Honor Society, Distinguished Honor Roll, The National Honor Society for Dance Arts-Junior Chapter and nominated for the American Legion National Achievement School Medal Award. She has also started a teen suicide prevention program called “The Silence Ends Here” at Dallastown Area School District where she plans to spread awareness to students and parents about the affects of mental health. Milana loves EMC and all of the wonderful opportunities it brings her. She enjoys teaching children the gift of performance and movement and knows the beautiful affects it can have on their growing lives. Rachel has been dancing since the age of 3. She began her training at EMC in 2005, and has trained in various styles of dance including ballet, pointe, modern, contemporary, jazz, tap, and improvisation/composition. Rachel has been a member of the Repertory Ensemble since 2009, and a member of Company Elite since 2015. In 2011, she became a member of the Susquehanna Youth Ballet. 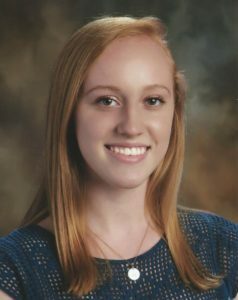 Rachel is co-captain of Hereford High School’s Dance Company, where her choreography has been selected to be performed at events such as the Maryland Dance Alliance. She has also been named a Maryland All State Dancer. She has participated in events including Disney’s Dance the World and the Youth American Grand Prix, and has attended summer programs such as Central Pennsylvania Youth Ballet’s August Week Intensive, and the Joffrey NYC Summer Ballet Intensive. 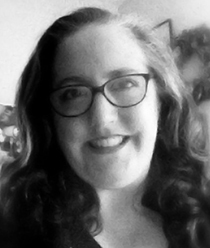 Rachel joined the Kreative Kidz staff in 2013, and the Technique Program staff in 2015. She loves sharing her passion for dance with her students! 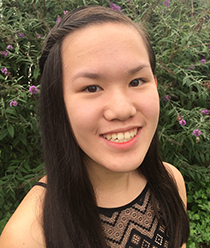 Theresa is currently a student at Susquehannock High School and has been studying at EMC Performing Arts Studio since 2006. Her training consists of ballet, tap, jazz, modern, contemporary, improvisation, composition, choreography, and basic dance education. Theresa is a member of the Susquehanna Youth Ballet, and is in the studio’s prestigious Company Elite. She finds it important to give back to the community. She loves sharing her passion for dance with the little ones. Without art and culture, she doesn’t know how she would live. Katelyn began dancing at EMC in 2003 at the age of 3. She has trained in ballet, pointe, tap, jazz, modern, contemporary, musical theatre, as well as composition and improvisation. She joined the Repertory Ensemble in 2009 and has been a member of EMC’s Company Elite since 2016. She has performed in events such as the Moscow Ballet’s Nutcracker, Disney’s Dance the World, Maryland Dance Alliance, Baltimore County Dance Festival, Maryland Public High School Dance Showcase, The North East Theatre Fest, and has participated in various master classes and dance intensives. Katelyn is the dance captain and choreographer of Hereford High School’s musicals and is a member and co-captain of Hereford’s Dance Company. She is also a member of the Hereford Chamber Choir, National Honor Society, National Honor Society for Dance Arts, Tri-M Music Honor Society, Future Educators of America, and is an officer for International Thespian Society. Katelyn has also been a member of Johns Hopkins Peabody Children’s Choir since 2010 and is serving as a student intern for the youngest choir. 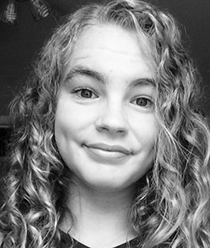 Katelyn joined the Kreative Kidz staff in 2012 as an assistant. 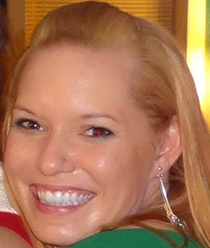 In 2014 she became a teacher for both the Kreative Kidz and Technique Dance Programs at EMC. She is so excited to be sharing her knowledge and love of dance with younger dancers! Brittany has been dancing at EMC Performing Arts Studio since 2005. She has trained in ballet, pointe, tap, jazz, modern, hip-hop, and improvisation/composition. She has been a member of the Ensemble since 2014 and was accepted into the prestigious Company Elite in 2016. Brittany participated in the AIM Invitational at Broadway Dance Center in 2017 with her fellow Company Elite dancers. 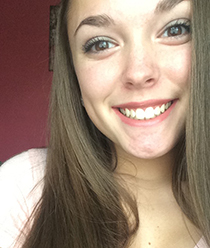 She is currently a student at Susquehannock High School where she participates in the school musicals. Brittany really enjoys working in the Kreative Kidz Program at EMC because she loves watching the little ones learn and grow. Jessica began her ballet training with Judy Daniel at Upper Falls Dance Academy and Michelle White at Harford Dance Theatre. She continued her training at Baltimore School for the Arts, and Central PA Youth Ballet. Jessica has also studied at Pittsburgh Ballet Theatre, American Ballet Theatre and San Francisco Ballet. She is a graduate of the UNC School of the Arts, where she trained under world-renowned teachers Melissa Hayden, Warren Conover and Gyula Pandi. Jessica has performed in works by John Clifford, Wes Chapman, Paul Vasterling Fernando Bujones, Hinton Battle, Susan McCullough, Marius Petipa, August Bournonville and George Balanchine, among others. In 1999 she was invited to appear with the Hungarian National Ballet in Budapest. Jessica is the recipient of several certificates of honor and distinction granted by England’s Royal Academy of Dance. She has performed with Carolina Ballet, Nashville Ballet, and American Ballet Theatre Studio Company. 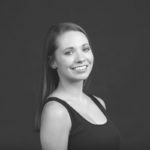 Jessica has been on the faculty of the Greater Dover Dance Academy, Cedar Lake Contemporary Dance Ensemble, Upper Falls Dance Academy, Harford Dance Theatre, Dance Conservatory of MD, and the School of the Washington Ballet. 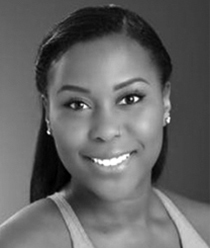 Briana is a student at Towson University as a dance major. She will graduate in the fall of 2019 with a Bachelors of Fine Arts degree in dance performance and a certificate to teach dance to grades K-12. She is training in ballet, modern, jazz, tap, hip-hop and pointe. She began her training at Arts High School in Newark, New Jersey where she graduated as a dance major in 2013. She has also trained at Just Dancin’ in Bloomfield, New Jersey where she was a company member and performed with the Nova Dance Ensemble. She also trained at Sharron Miller’s Academy for the Performing Arts in Montclair. New Jersey where she was also a company member and performed with the Performance Workshop Ensemble. She attended the Earl Moseley’s Institute of the Arts summer intensive program in 2012 and 2013. In 2013 she was named one of the four New Jersey Performing Arts Center’s Star Ledger Scholars and was awarded $20,000 for her dance and choreographic talents to attend the University of her choice. She became ZUMBA certified in 2015 and is currently a member of Towson University’s Dance Company. Kathryn Jacques began her training at Towson University’s Children’s Dance Division where she studied ballet, modern and jazz and was a member of both award-winning performing companies. She later attended Towson University on merit scholarship and graduated with Honors with a BFA in Dance Performance. Kathryn spent summers at Baltimore Ballet and Central Pennsylvania Youth Ballet and has performed professionally with the Baltimore Ballet, Ballet Chesapeake (formerly Harford Ballet Company), Eclipse Performing Dance Company, with various independent choreographers and has appeared in local TV commercials, magazines and advertisements. She has been accepted into programs for Richmond Ballet, Ballet Austin, Ballet Theater of Maryland, and Nashville Ballet and received Honorable Mention as a Maryland Distinguished Scholar of the Arts. For over a decade she has taught all levels of ballet and Pointe throughout northern Maryland. Her students have been accepted into programs for American Ballet Theater, The Rock School, Bolshoi Ballet, Miami City Ballet and many other prestigious training programs as well as performing arts high schools and college majors. Former students have received professional contracts with Ballet Theater of Maryland, Nashville Ballet and Richmond Ballet. Kathryn also coaches students for the Youth America Grand Prix and many students have won awards and scholarships at numerous regional dance competitions. Carrie began studying dance in Rockford, IL under former Radio City Rockette, Kathy Nelson. She holds a Bachelor’s degree in Dance from Mercyhurst University and achieved her MBA degree at the University of Colorado, Denver. While attending Mercyhurst she danced various roles in Carmen, Coppelia, A Midsummer Night’s Dream, La Sylphide, and Raymonda, under the direction of Tauna Hunter. She danced with Milwaukee Ballet and Milwaukee Ballet II, performing in Michael Pink’s Swan Lake, Don Quixote, and Romeo and Juliet. Carrie performed in Denver with the David Taylor Dance Theater enjoying soloist and principal roles in works by James Wallace as well as Gregory Dawson’s “Eclipsing Venus.” She has also performed with 7 Dancers, notably in “ART” by Mandy Moore, of the hit television series “So You Think You Can Dance.” Carrie also danced the lead role in 101 Things to do in a Lifetime, featuring choreography by Chantal Robson. During her four year stay at Missouri Contemporary Ballet, Carrie performed numerous works by director Karen Mareck Grundy as well as works by Shannon Lee West, Thang Dao, Autumn Eckman, and Joshua Blake Carter. Carrie originated the role of Alice in Grundy’s Alice’s Adventures in Wonderland. 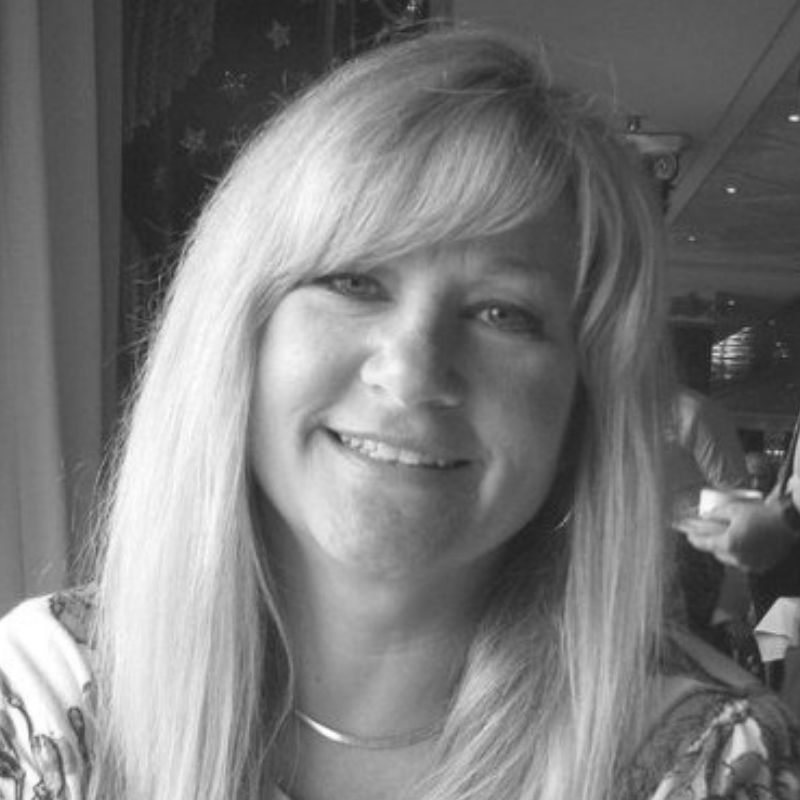 In 2011 Carrie became the founding director and lead instructor of the School of MCB. During this time she also coordinated DanceReach, offering dance to at-risk youth in the community, and in 2013 she co-founded DanceAbility, a program offering dance classes to students with special needs. Carrie’s original choreography has been performed by students as well as professionals and she has extensive experience instructing and coaching dancers of all ages in ballet, jazz, tap, and modern/contemporary styles. Carrie currently resides in the greater Baltimore area and appears nationally as a guest artist, teacher, and choreographer. For more info check out her website at www.CMEuker.com. Amanda has been dancing since 1992 and teaching since 1996. As a teenager Amanda danced competitively with Dance Dynamix in Bel Air, MD for one year. She then moved to Aberdeen Dance School where she danced and began her teaching career. Amanda has studied and taught creative movement, ballet, tap, jazz, and hip-hop. She enjoys teaching children technique and especially choreography. Amanda and her family moved to Stewartstown, PA in 2009 and found EMC for her daughter Emma to study dance. 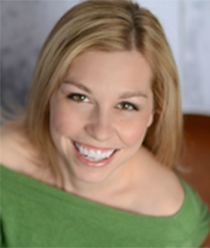 Amanda began teaching at EMC in 2011 and teaches technique tap classes and is the current director for Company Elite at EMC. 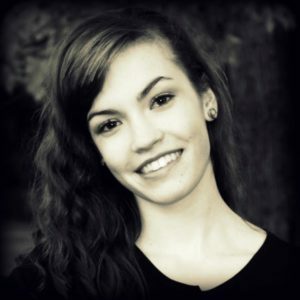 Amanda also enjoys teaching jazz, contemporary, and adult tap classes as well. 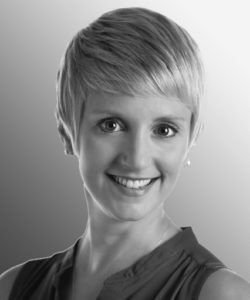 Ciara has been a part of the EMC staff since the inception of the PA studio in 2003. 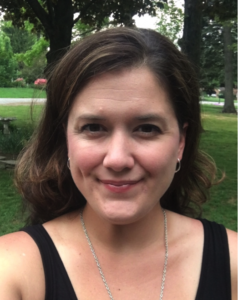 She is widely known throughout the Southern York County and Hanover areas for her work in their theaters and schools both in dance education and musical theater training. She graduated from Susquehannock High School and The William Penn Performing Arts Institute in York, PA. She continued her education in New York City at the American Musical and Dramatic Academy, as well as Broadway Dance Center. Ciara’s training includes ballet, tap, jazz, hip hop, lyrical, modern, musical theatre, and competitive ballroom in Adagio Partnering.